Well done to all those charities who have run bold campaigns in 2015. Not an easy year for the sector with many mergers still on the table, negative stories about about how charities operate in getting their vital funds, the debacle of the Kids Company closing and the Edelman Trust barometer showing trust in charities down 17%. 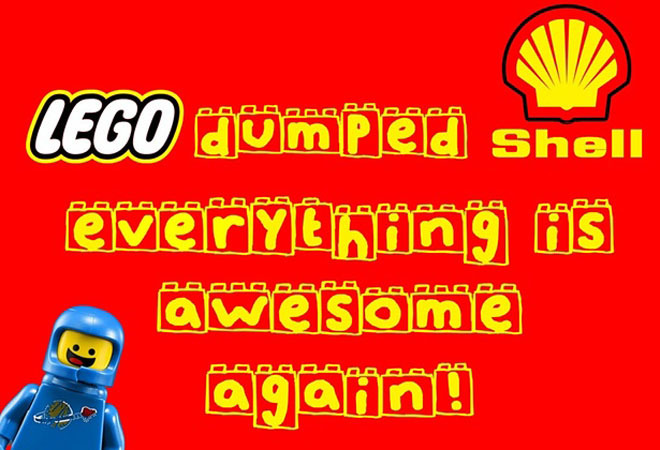 It was good to see Greenpeace’s action in 2014 and mobilising millions to stop the Lego Shell partnership in 2015. Without Greenpeace, life would be much less interesting (and less organisations would be kept in check). 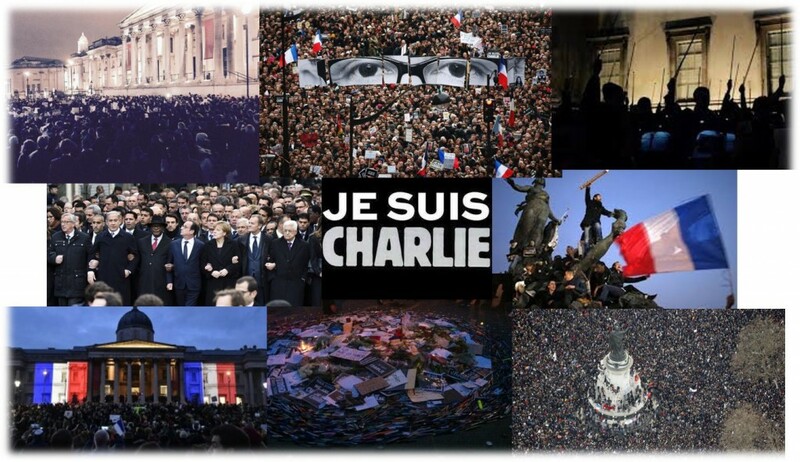 Not a charity but certainly a cause, I’m sure most would agree the Je Suis Charlie events were a critical response to the threat against the freedom of speech, inspired by the terrible attacks in France on 7th January 2015. I loved This Girl Can campaign developed by Sport England as a celebration of active women doing their thing no matter how well they do it or how they look. A very innovative and entrepreneurial way to diversify the work homeless people can do, by training them to make and sell cappuccinos – with eight carts in London, I wish it all the best. It’s tough bringing home your message and this campaign does just that with specially created headsets. It aims to transport people to a Syrian street to show the destructive effects of barrel bombs. A brilliant idea, using regular ‘chokables’ as the main characters, with voice-overs from Johnny Vegas and David Mitchell, adding weight. 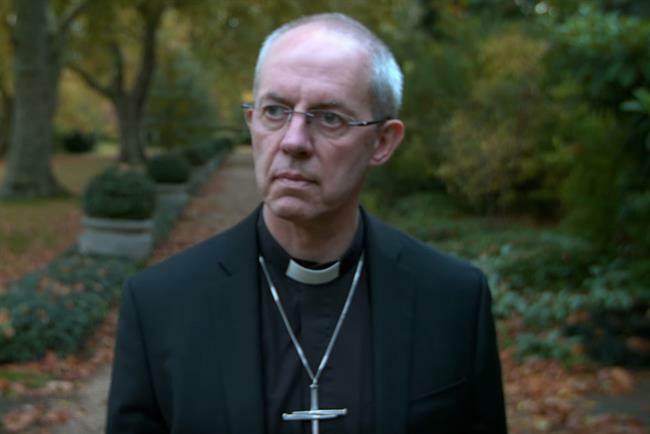 The Church of England planned to run the spot before showings of Star Wars: The Force Awakens, opening on 18 December. As an aside, The Odeon, Cineworld and Vue refused to show The Lord’s Prayer ad . The spot launched the Church of England’s justpray.uk website, which encourages prayer and offers tutorials. 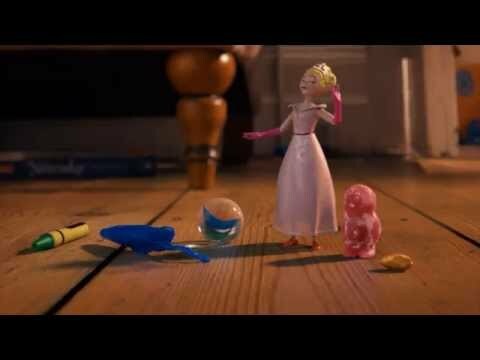 NSPCC’s great campaign encourages children to think about what they share online; with this campaign they have developed a partnership with 02. The Open University has captured the strength of mind, effort and reward that comes from studying a part-time degree – a nice brand builder. Unicef recruited Snapchat artists to redraw the pictures made by some of the 800,000 children forced to flee their homes in Nigeria, as part of a campaign to raise awareness of the horrific impact of the Boko Haram crisis on Nigerian children. These charity campaigns are all brave and ambitious – but more importantly speak to us in a straightforward language, and in my view, increase the perceived value of the charities’ role on the issues. I believe they have every chance of driving new supporters and partnerships. Wishing you all a great Christmas and New Year. As the first chilly month of 2013 draws to a close, we wanted to present our list of what we consider to be the best standout marketing from charities in 2012. We have selected six campaigns, which we think are bold and different in what has been a challenging year. Brave souls out there are doing the best for their charity brands and we applaud you all. 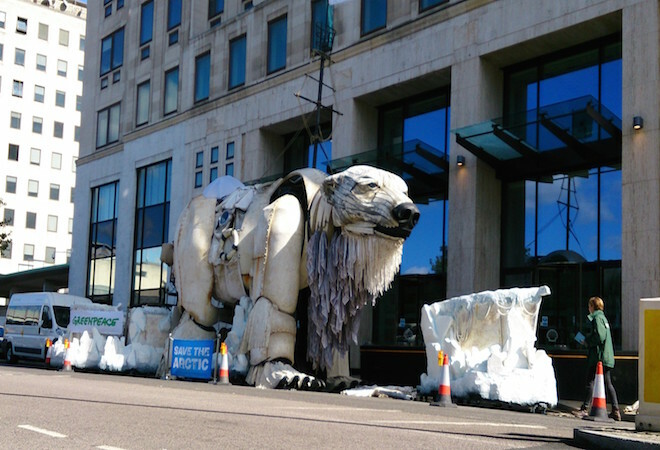 Save the Arctic, headed by Greenpeace, is a campaign to save the Arctic from industrial fishing and offshore drilling for oil. The campaign film, Vicious Circle is narrated by John Hurt and has driven an impressive 2.4 million people to sign the petition, to have the Arctic region declared a sanctuary by the United Nations. Plan UK’s Because I am a Girl campaign which highlights the plight of the world’s poorest girls, used an interactive ad on a bus stop in Oxford Street. 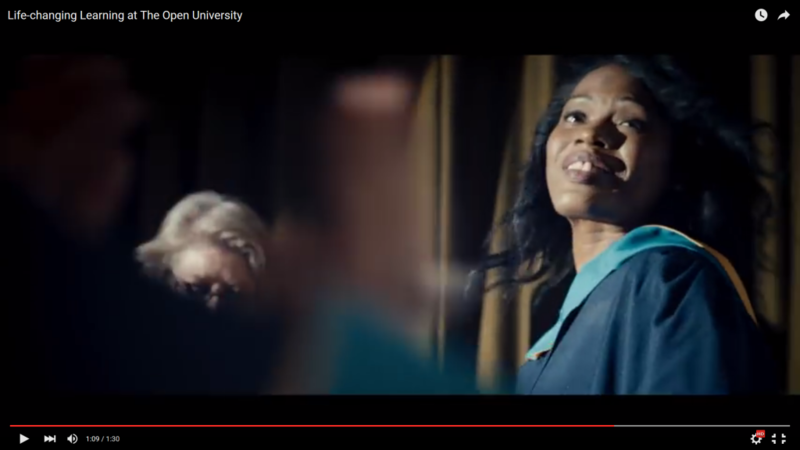 The advert used facial recognition so men and boys were denied the choice to view the full content, to highlight the fact that women and girls across the world are denied choices and opportunities on a daily basis. A TV ad which had minimal media spend went viral, showing a young man surviving cancer, only to choke on some food whilst eating at a mate’s BBQ. Highlighting that up to 140,000 people die each year from choking – that’s as many as die from cancer. 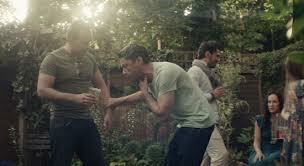 As a direct result of the ad, thirty thousand downloaded the free First Aid app. 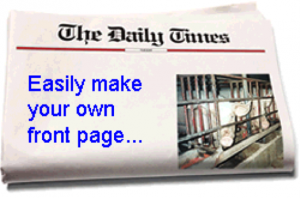 A large proportion of French farmers were expected not to meet the sow stall ban deadline, meaning thousands of sows would continue suffering illegally in sow stalls. 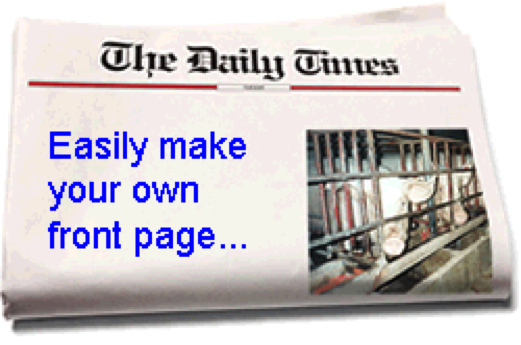 CIWF tailored the ‘front page’ of a newspaper for supporters to complete and send to the French Ambassador. Charity: water started three years ago with one man in the States giving up his birthday, spending it instead building wells in Africa. Since then the charity has grown using clever and arresting images, word of mouth, advertising, interesting events and exhibitions and social media. Their fundraising efforts involving celebrities such as Will Smith have been second to none. I love the fact that these print ads hit the press at the same time as Sir David Attenborough’s landmark series Africa. A positive repositioning of how we see Africa as a country of bounty and great natural riches. These are just some of things that inspired us from last year. We will be using a selection of these case studies in our first ‘Shortcuts’ seminar series on Friday 1st March 2013. ‘Shorcuts’ is our free seminar series aimed at inspiring marketing managers to deliver even greater marketing in 2013.